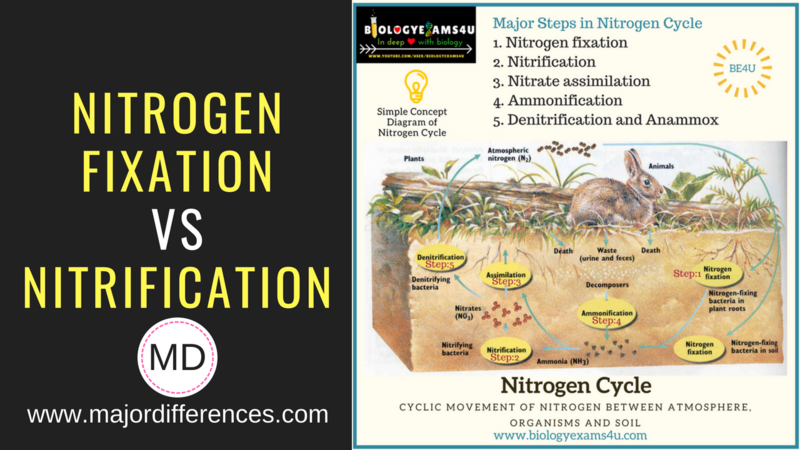 Nitrogen cycle is a continuous series of natural processes by which nitrogen passes successively from air to soil to organisms and back to air or soil involving principally nitrogen fixation, nitrification, decay, and denitrification. Nitrogen fixers are either symbiotic or free living. Nitrogen fixers include some bacteria like Rhizobium in symbiotic association with leguminous plants, blue green algae like Anabaena and lichens like Collema.